Depending on your planning, gaming PCs can be an investment that will last you half a decade or simply something to hold you over until the next generation of hardware arrives. While most gaming PCs are guilty of offering hardware that go well beyond the necessities of any gamer, some opt to embrace this hardware in order to pay a premium now for a machine that is certain to survive through years of new game releases. Consequently whenever presenting a list of the top 5 gaming PCs, such a list needs to include careful consideration for a range of hardware options and pricing rather than only the most expensive components. 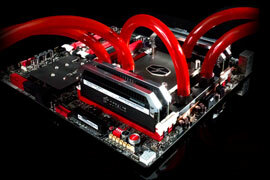 And in that spirit, please consider the following list of the best gaming PCs of 2013. With the recent release of the NVIDIA GTX 580, gamers and media enthusiasts alike have ran headlong and arms open towards what can only be described as one of the three best GPUs available on the market today. And in a gaming PC where power truly matters, it’s easy to come to fully appreciate that the Pearl comes with not one, but two GTX 580’s. Each card includes 1.5 GB of GDDR5 memory clocked at 1848 MHz with a core speed of 772 MHz, the fastest chips on the market today. Simply put, the Pearl will allow you to not only run the next generation of game releases on the highest settings, but run several of them in seamless parallel. It’s also important to keep in mind that these cards can fully utilize DirectX 11, allowing for full support of next-gen effects. While they’ve been on the market for almost a decade, quad core processors are only now beginning to get fully utilized by software developers. The reason why is simple enough; coding for quad core processors is very difficult, and doing so made no practical sense until only recently as dual core processors have slowly begun to be phased in on desktop computers and become more standard on portable devices. The Black Pearl takes steps into the next generation of cutting edge hardware by offering a six-core processor, the Intel i7 980 Extreme. While this processor comes from Intel clocked at 3.3 GHz, Black Pearl overclocks this process or to a massive 4 GHz. While this massive overclocking may raise concerns for heating, rest assured that the Asetek 510LC 120mm liquid cooling that comes standard with the Black Pearl will keep your machine at optimal temperatures. Not to be outdone by the Black Pearl, the Origin Genesis focuses on offering every piece of cutting edge hardware available sparing absolutely no expense. This includes three NVIDIA GTX 680s, a six core Intel i7-3930k processor, and about every other bell and whistle available on the market. This hardware is housed in the monstrously large Bitfenix Shinobi XL chassis (570 x 245 x 557 mm) and includes space for up to 20 drives, four 120+mm cooling fans, 9 PCI slots, and a maximum CPU cooler height of 181mm. In truth, the Genesis is more of a three part combination between media machine and gaming PC, including four strategically placed USB 3.0 slots as well as a 2.5 amp USB port designed specifically for charging mobile devices like phones and tablets. And with three GTX 680’s, you can expect much more than raw gaming power. The Genesis includes six DVI ports as well as three HDMI ports, allowing the user to set up three monitors for a full 3D experience. Truth be told, the inside of the Bitfenix Shinobi is as spacious as one might dream, although somewhat restricted in regards to future expansion due to the immense space consumed by three GTX 680’s. Additionally, while supporting nearly two dozen drives, something only servers can usually boast, the PC-oriented motherboard only offers two SATA ports for further expansion. 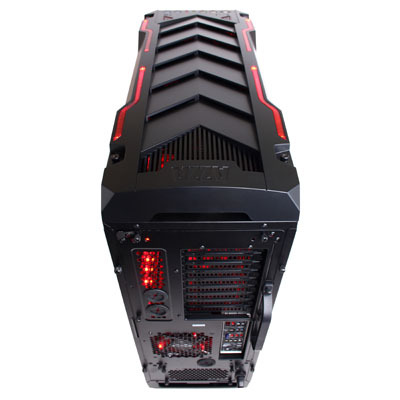 Nevertheless, the massive 1,200 watt power supply not only offers full support for all the hardware included, but is sure not to falter when powering the massive overclocked 4.9 GHz CPU. Gamers can expect to run Crysis on full settings with more than 80 FPS or Lost Planet 20 at well above 200 – some of the best benchmarks for either title. 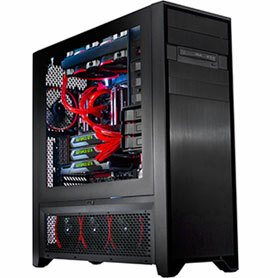 Digital Storm began producing gaming grade computers back in 2002 and today are one of the most fierce gaming rig competitors on the market, standing with giants like Alienware, Cyberpower, and even iBUYPOWER. Focusing on performance and value over fun extras, Digital Storm delivers on their promise to provide value on a delicate balance between providing the high end components necessary for a gaming machine and the price tag that won’t tank your bank. Dual GPUs is quickly becoming a standard among serious gaming machines, and the Hailstorm utilizes the NVIDIA GTX 580 to meet this demand. While it’s true that these cards are somewhat inferior to the ATI 5970, the GTX 580 provides support for PhysX and 3D vision as well as the best support for the tessellation effects of DirectX 11. Even though the GTX 580 does not win in terms of raw power, the fact that there are two of these cards contained in the Hailstorm overcomes this obstacle. 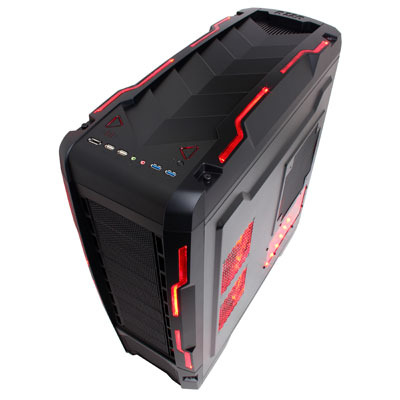 The hailstorm also utilizes an Intel i7-970 CPU, which is again one step below top of the line hardware but still providing more than enough power for any game you can throw at it. With six cores, the 970 is only slightly inferior to the top of the line 980x, and switching to the 980x or its predecessors in the future would be simple. With the use of the ASUS Saberstooth x58 motherboard which supports 24 GB of ram and allows for any variety of future upgrades, Hailstorm truly pulls out all the stops. The Cobra is a mid to high tier gaming computer with a gamer friendly chassis design oriented around offering quick and easy upgrades as well as support for either a variety of fans or liquid cooling. 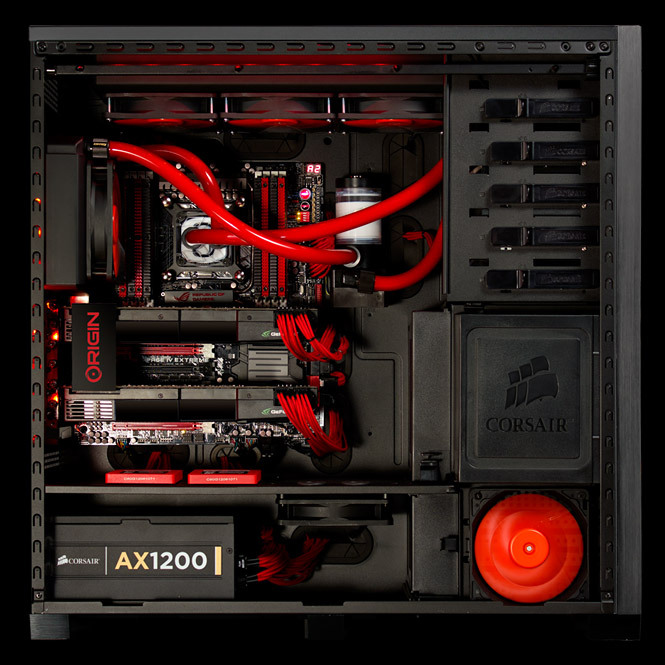 While liquid cooling has been neglected for many gamers since it was first made available, when you use the kind of hardware contained in the Cobra, the fans required to keep your hardware cool can quickly become noisy to the point that liquid cooling is the best available option. For those who do not opt to pay a premium for liquid cooling, noise absorbing foam panels are available as well as anti-vibration fan mounts. Utilizing the GeForce GTX 570 with 1.2 GB of video memory and an Intel i7-960 quad core processor running at 3.6 GHz with a 12 MB cache, users are allowed to upgrade this beast of a machine to different “levels” of LED lighting and patterns to give a fully customized appearance to their case. 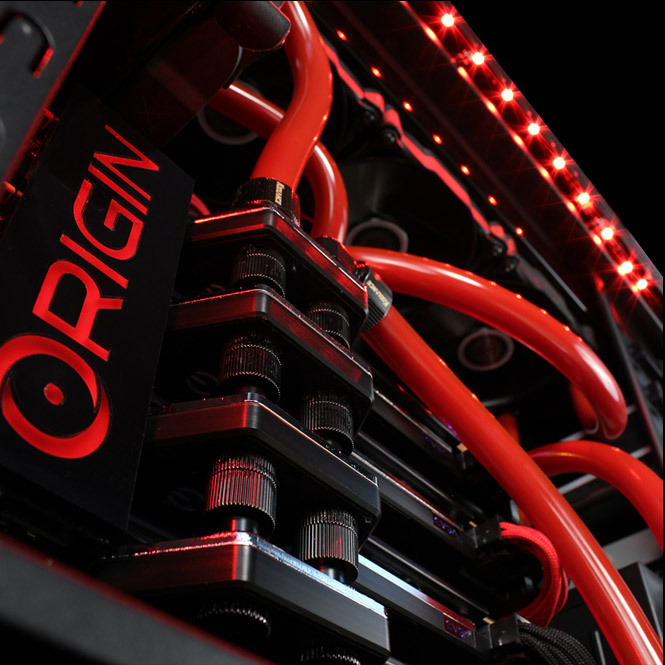 Customization does not cease at lighting, however, as for an additional $50 Cyberpower will overclock your hardware by as much as 30%. This coming from a baseline of 16 GB DDR3 RAM (with triple-channel support), a 1 TB HHD, and three years warranty, value is the only word that comes to mind when evaluating the Cobra. 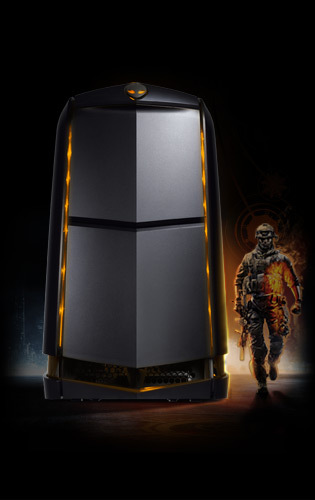 Dell’s Aurora allows the fullest customization necessary for even the most demanding games. The base model includes a second generation i7-3820 42 GHZ processor that can be upgraded to a massive 15M cache while slightly more affordable CPUs are available for those who don’t wish to spring for top shelf hardware. 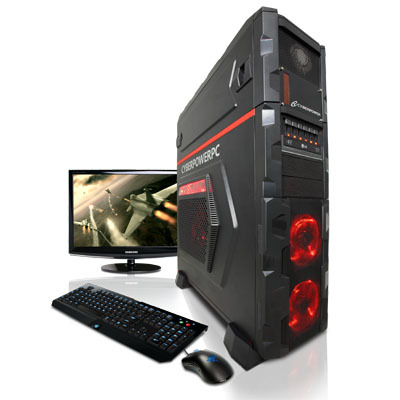 The base Aurora offers a 3.1 GHz Intel i5 processor with a 1.5 GB GeForce 450. Despite the fact this isn’t cutting edge hardware, it’s more than sufficient for any gamer to run modern releases at highest settings. And if cutting edge hardware is a must for you, keep in mind that the Aurora can be customized as high as a GTX 680 a 512 GB SSD, a 1 TB of additional storage, and the infamous ALX chassis. Better yet, Windows 7 Home Premium is still Dell’s go-to operating system; the Aurora also offers windows 8 at no additional charge to allow you to choose according to your own preference. Standard with the Aurora are two Blu-ray burners and 2 years enhanced support, with an additional two years of support available for an extra $140 as well as 2-4 years accidental damage service for between 5 and 7$ per month. This comprehensive yet relatively affordable coverage is one of best aspects of the Aurora. 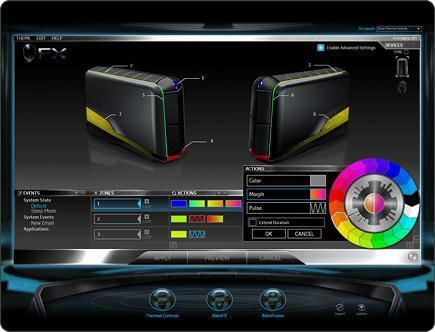 And like with any Alienware computer, the stylish design and highly customizable lighting profiles (including Quasar Blue, Mars Red, Astral Aqua, Plasma Purple, Nova Yellow, and Terra green) are sure to make this the most stylish gaming PC available on the market.